Located on the east of Cambodia, Sihanoukville shore excursions are famous for its white-sand beaches and many undeveloped tropical islands. 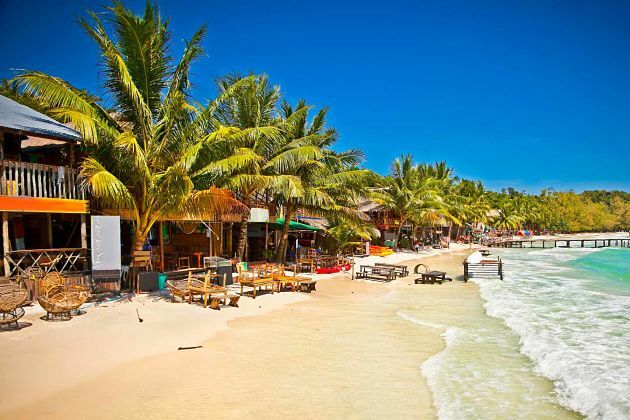 Sihanoukville (also known as Kompong Som) is the most popular place for a beach vacation in Cambodia. Coming to Sihanoukville, get to know the first impression of the real Cambodia. 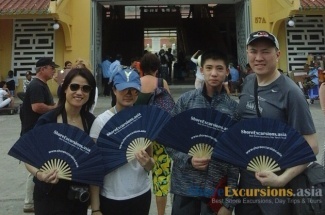 Sihanoukville is also a popular place for many cruise ships to visit Cambodia. 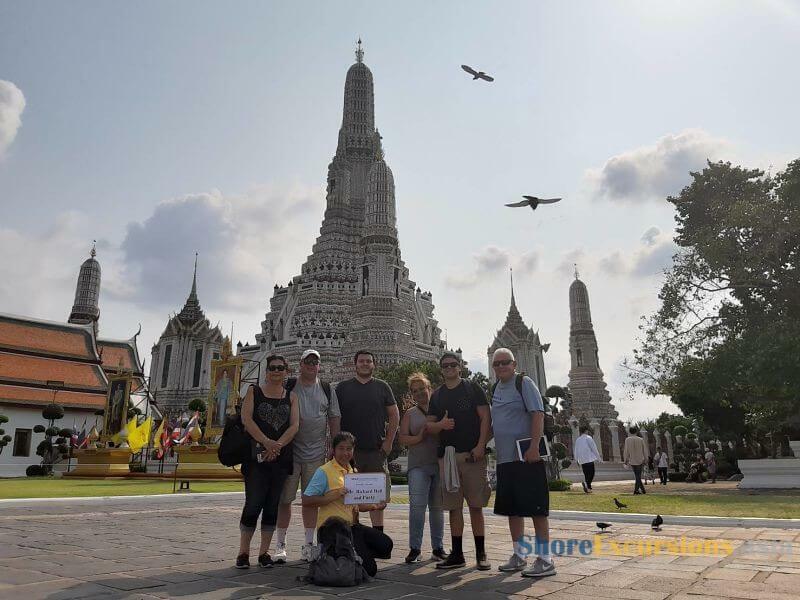 From here you can enjoy the Sihanoukville shore excursions to many areas nearby as well as Phnom Penh or furthermore to Siem Reap with the Angkor temples. 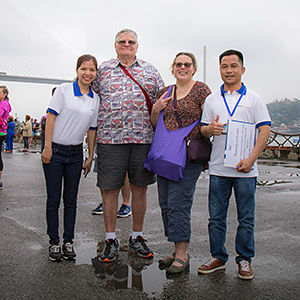 Asia Shore Excursions provides many interesting Sihanoukville shore excursions for cruise ship passengers to visit Cambodia. 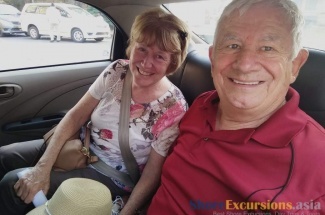 Have a look at our recommended Sihanoukville shore excursions, if you do not find any itineraries that suit your interest, please contact us for a tailor-made Sihanoukville day trip. Notes: if you would like to visit Siem Reap with the Angkor temples, you need a least 2 days at Sihanoukville port. Discover one of the unique attractions by this Sihanoukville shore excursion – Ream National Park. Considered the ‘Crown Jewel’ of Cambodia’s natural sites, this 21,000 ha park consists of immerse land and marine, features rich local habitat and 155 different species of birds. An idyllic corner of Cambodia – Sihanoukville locating in the southern seaside of the country is a beautiful province with numerous attractions to visit. 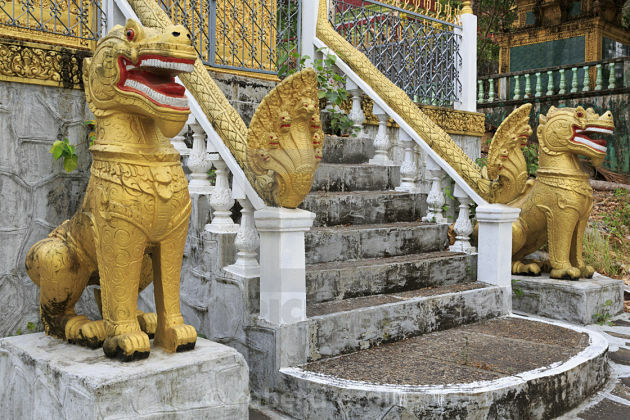 Experience the best Sihanoukville shore excursions with these suggestions below. 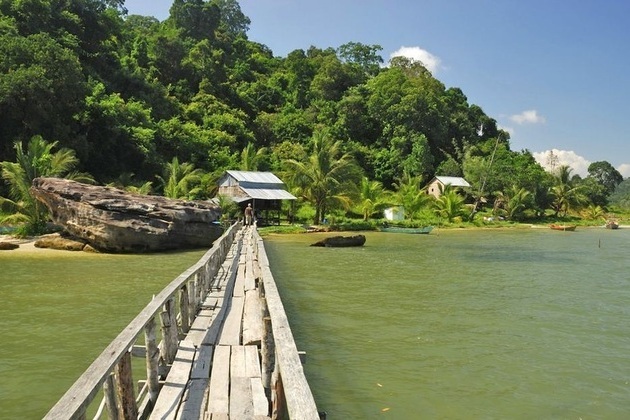 You can rarely find a more beautiful place in the world than Ream National Park in Cambodia just over 17 kilometers from the downtown of Sihanoukville province. 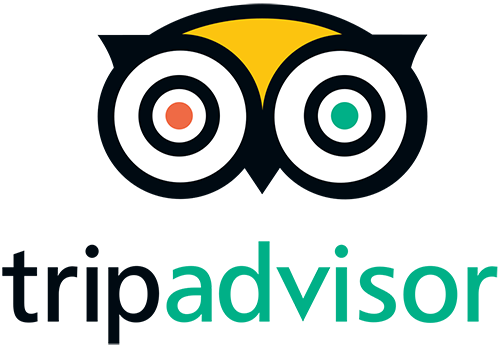 The place is virtually untouched with pristine beaches and mysterious jungles. Local people both know the existence of it, but no one has invented the machine to discover all the national park. 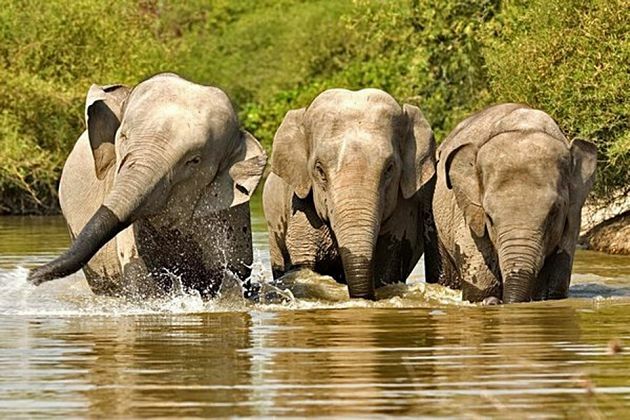 Thanks to being well-preserved by locals, various endangered animals have lived and been kept from going extinct, contributing to the biodiversity of the world as a priceless present giving to the planet ecosystem. Coming to Ream National Park, you can explore thousands of amazing fauna and plant species which many of them cannot be found in other places. Moreover, Koh Rong Island is home to stunning beaches, wonderful food, and exciting activities to enjoy incredible Sihanoukville shore excursions. 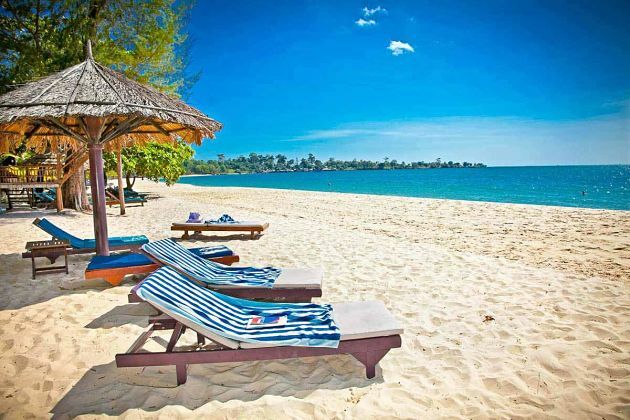 Independence Beach is the most beautiful one in Sihanoukville shore excursions with the calm water and quiet atmosphere. A hidden space for you to spend a relaxing time with your family and friends. The beach is also an ideal destination for your honeymoon while taking pleasure in the untamed beauties of nature. The endless sand beaches shine sparklingly under the sunshine embraced by the smooth blue seawater. Right to the name, Independence Beach is unperturbed from the downtown to a secret land of fantasy. You can easily soak in fresh natural space and forget about the tough life out there. Being a part in Asia, Cambodia also has a deep-root religion practiced in hundreds of temples and pagodas across the country. 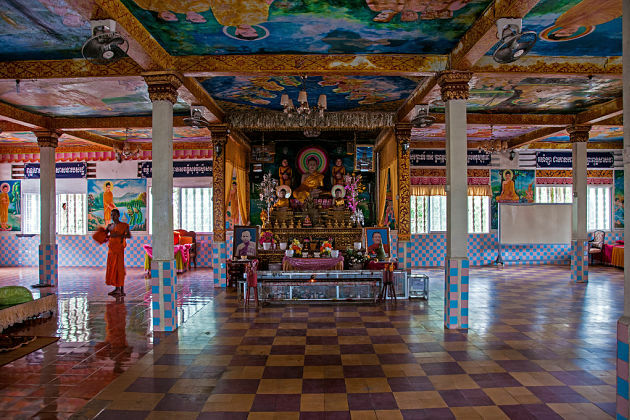 Just 3 kilometers far from the central town of Sihanoukville, Wat Krom is one of the highlights in your Sihanoukville shore excursions to discover the spiritual life of local people. Meaning as “the Lower Wat”, the temple is well-known for the unique architecture lazily lying on a small hill overviewing the ocean. 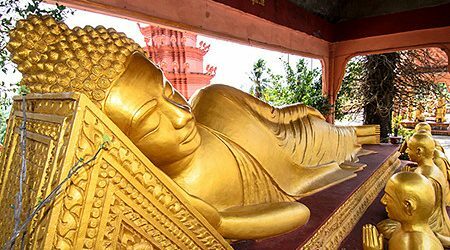 The wat is home to a large Buddha lying on the ground along with some statues display a Buddhist procession. Your natural sightseeing in Sihanoukville shore excursions will be highlighted with a visit to the Kbal Chhay Waterfalls. The place is a collection of waterfalls with the height ranging from 3 to 5 meters flowing from the top of the mountain. Unfortunately, you cannot admire these all. Only three waterfalls have been explored. The picturesque scenery and peaceful atmosphere provide an ideal space for going picnic. You can freely spend a day with your honey, family, and friends soaking in the green and serene nature. If you feel hungry, there are some stalls serving food and drink. 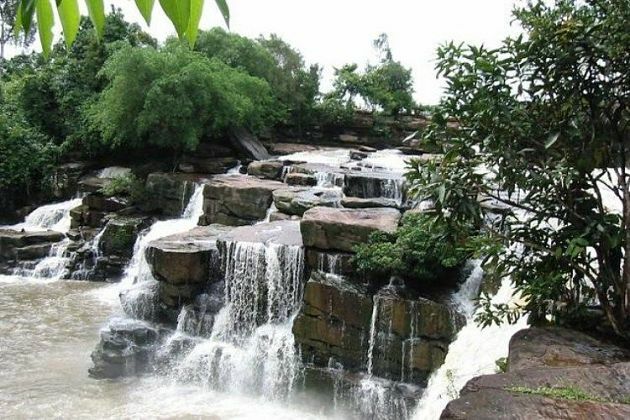 The best time to visit Kbal Chhay Waterfalls is during the wet season running from July to October when the white froth of water cascading down. 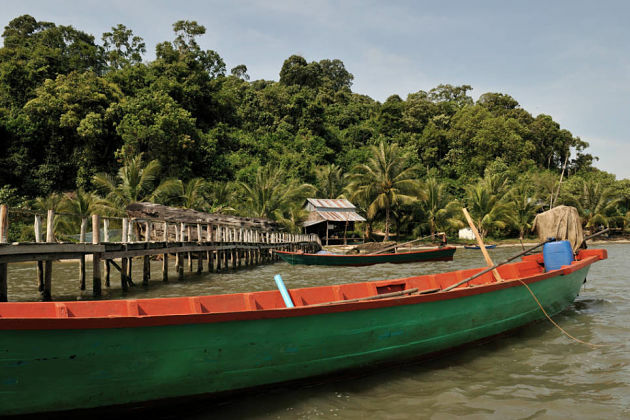 Any Sihanoukville shore excursion to experience the daily life of local people living in this idyllic seaside province cannot miss a visit to the Tumnuk Rolok Fishing Village. Just about 2 kilometers to the north from the main port, located on Hun Sen Beach, the village has a spectacular view with hundreds of different scales boats and calm blue water far away from providing the valuable chance to capture incredible photos. 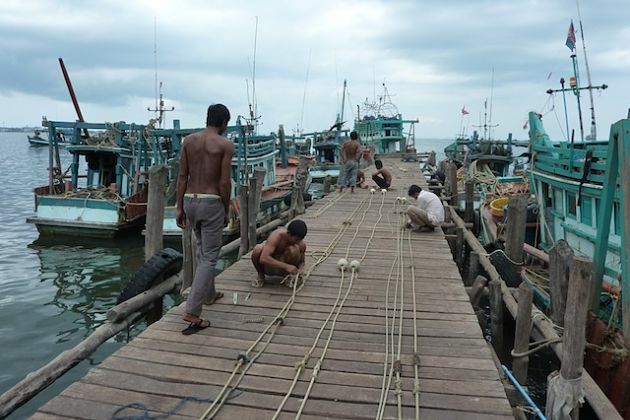 Moreover, visitors coming here can witness the daily life of fishermen. Khmer culture is one of the most mysterious ones in Asia. Nowadays, this ancient culture is still well-preserved through many aspects. 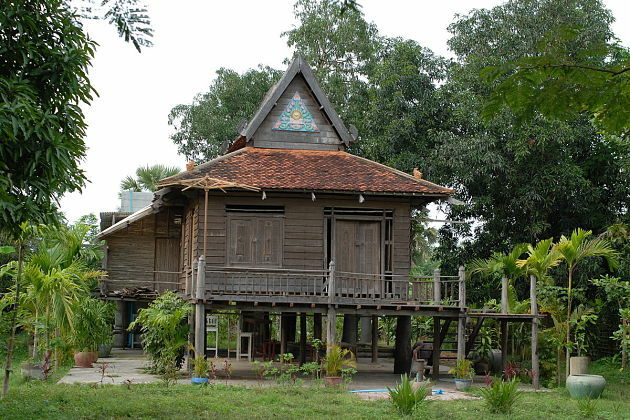 The Cambodia Traditional Houses are the ancient structures built with Khmer style which are still popular in Cambodia nowadays. The houses were built in a traditional way facing the East that has the meaning of bringing back the prosperity for the host and also express their respect to the sun. The structure is uniquely built on stilt evaluated with a height of about 2.5 meters above the ground that the only way to enter the house is climbing up to the wooden ladder outside. The roof is rurally made of familiar leaves or straw, combines with the classical breath of wooden material to create an old-fashioned living space.